Our line of portable floor scales are built with integrity and strength. 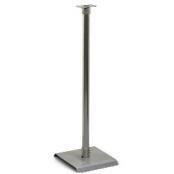 Whether its steers, steel, pallets, people, or semi trucks, we carry an industrial floor scale to fit your needs. 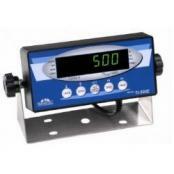 Our floor scale systems with indicator are very popular with our customers. Of course if you purchase a floor scale, it only makes sense to purchase the accessories that you need to compliment the scale. We're talking about things like access ramps, pit frames, anchor plates, angle iron protective bump guards, and portability carts. Many of these items are designed for particular scales, so be sure to let us know which manufacturer and model number of platform scale that you have before placing an order since some items may not fit different branded products. 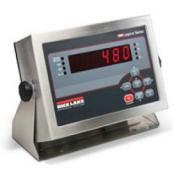 Rice Lake 480 Legend Digital Weight IndicatorAdvance to Rice Lake's Legend Series—classic Rice Lake quality and design with new ideas for tomorrow. 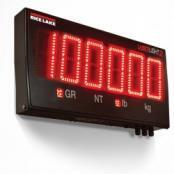 As the flagship of Rice Lake's Legend Series, the 480 digital weight indicator has been perfected to provide the very best in performance and value. 480 Plus features numeric keypad as well. 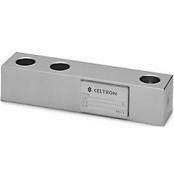 Celtron SQB Single End Shear Beam Load CellCeltron SQB Alloy Steel shear beam load cell that is ideally suited for scale general-purpose weighing. Compact and rugged design. Complete with 20'/6.1 m of load cell cable. NTEP approved in capacity from 1000 to 10,000lb. Non-NTEP capacities in 500lb, 15,000lb and 20,000lb. 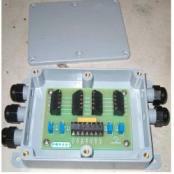 Similar to Sensortronics 65023. Floor Scale Mounting PlateMounting plates help to keep floor scales in one place and not slide around when you place a pallet on the top of the platform. There are various styles, sizes and materials available. Transcell TI-500E Digital Weight IndicatorThe Transcell TI-500E is a general purpose, "no frills" digital indicator housed in a standard ABS enclosure. It comes with a large (0.6") green LED screen for easy read out & supplies enough current for up to four 350-ohm load cells. THIS IS A GREAT REPLACEMENT DIGITAL READOUT for an old scale. Swivel Load Cell Foot 1/2-20 UNFIf you own a floor scale it is usually a good idea to have a few of these on hand, just in case. 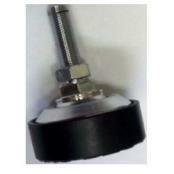 Affordable high quality swivel beam foot. 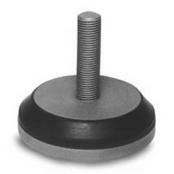 Measures about 3 1/2 inches from bottom of the rubber pad to the top of the threaded rod. 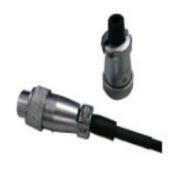 Alloy steel swivel ball bearing foot has non-slip 2 3/8" rubber base and 1/2-20 UNF threads. 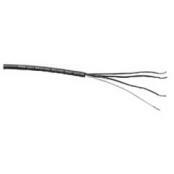 Transcell TI500 Home Run CableInterface Cable (Home Run Cable) - 15' long with a 14 pin Centronics connector. 4 wire with braided shielding. 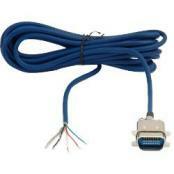 0.2� diameter cable, 24AWG stranded wire. Works with Transcell TI500E and Salter Brecknell 200E digital indicator. 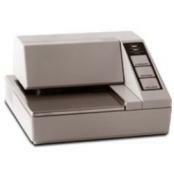 Epson TM-U295 Ticket PrinterThe Epson TM-U295 is a sound and economical choice for simple ticket printing needs whether you're looking to print Gross - Tare - Net weights from weighing pallets on a floor scale to weighing loaded trucks on a 70 ft truck scale. This attractive model will print tickets up to 4 parts thick. Quick Disconnect Scale CableGreat quick disconnect cable for use with Stainless Steel Indicators that need to be removed from the scale base. A one foot pig-tail and 17 feet on the other side of the 5 pin metal connector. Approximately 18 feet of cable in total. 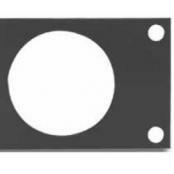 Brecknell Indicator Floor StandIn addition to the standard indicator mounting bracket that is available. You can also choose to add an indicator floor stand to your floor scale system as well. 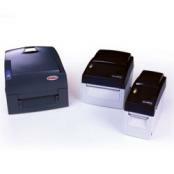 GoDex Label Printers for ScalesWhen you need a simple but reliable barcode label printer for scales, the DT2 is perfect with its 2-inch width direct thermal printing. The DT4 is ideally suited for printing labels in shipping and receiving, warehousing and parcel delivery applications with 4-inch print width and direct thermal technology. If your printing requires a high output desktop thermal transfer printer, the G500 is the perfect solution.